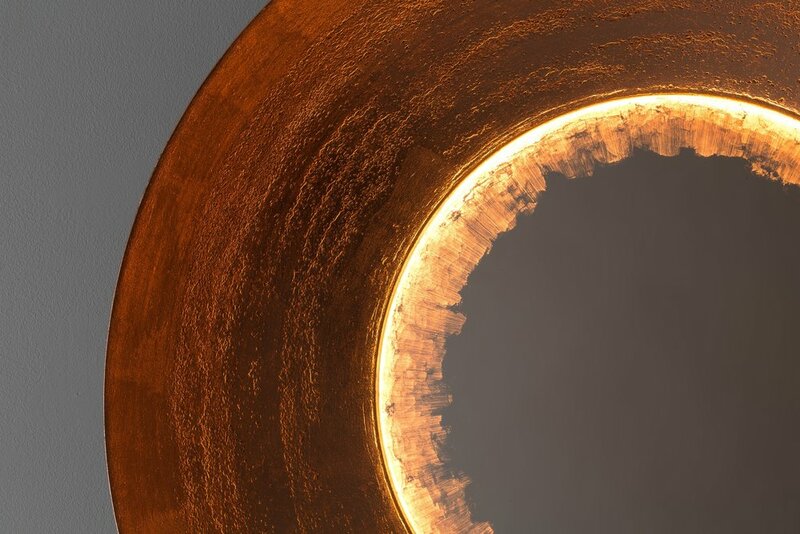 The Curved Light with an etched finish features a stunning organic etched texture that contrasts with the smooth center mirror. 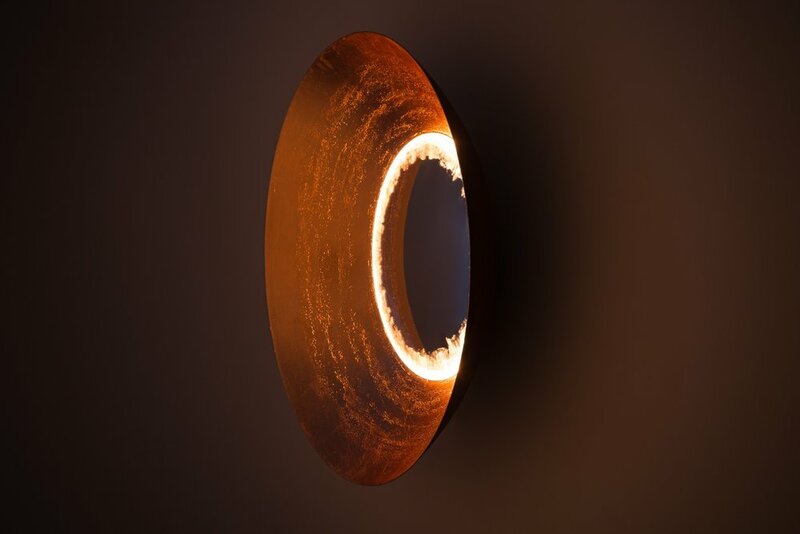 The mirror is hand relieved to create a beautiful effect when illuminated. LED light source. Hardwired or corded configurations.